Our transportation: Transportation "1" or "3"
At 08:00 a.m. 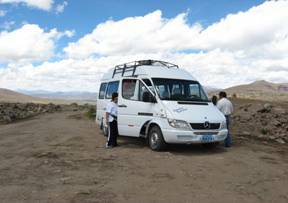 Pick you up at your Hotel and departure from Arequipa ( 2325 m.a.s.l) towards north west direcction behind snow-covered Chachani; we see wild vicuñas, alpacas & llamas in Pampa Cañahuas national reserve, some birds like flamingoes, ibis, andean gooze, ducks, andean eagle "Kara Kara" view point of the Volcanoes and snow covered mountains in Patapampa (4,800 m.a.s.l). 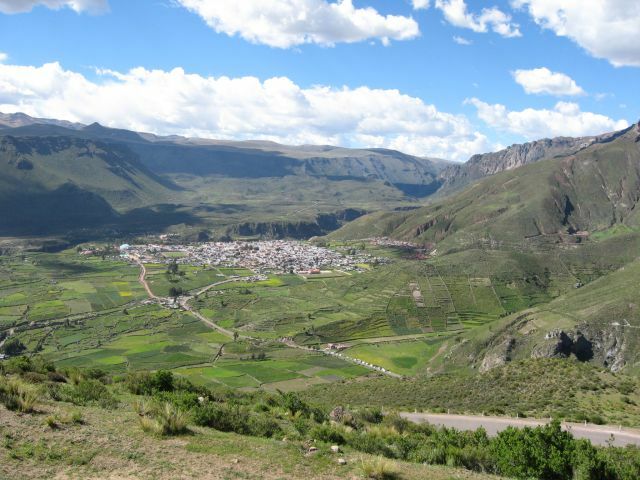 Arrive in Chivay (3600 m.a.s.l), capital of the valley. Afternoon optional visit to the thermal springs & pools in La Calera 40ºC. (Admission to the pools not included, about $ 6 per person). 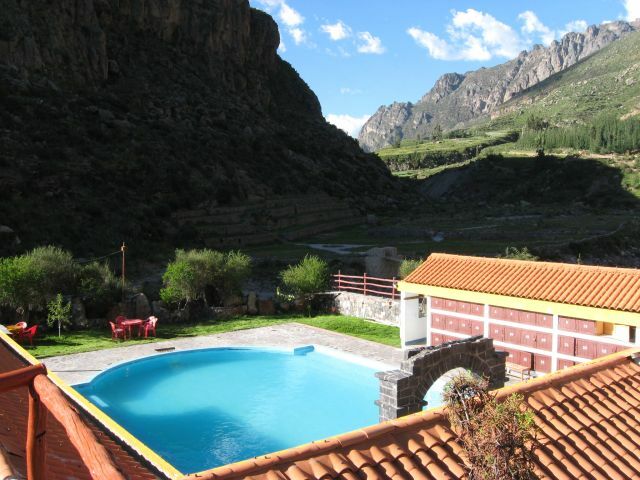 Note: The opcional vist to La Calera Hot Springs is for passangers staying at Chivay only. Early morning after breakfast (06:00)leave for a full day excursion in the left shore, beautiful tipical towns, like Yanque & Maca, colonial churches, gently people with tipical needlework dresses, hundreds of pre inca terraces still in use with andean growings like corn, quinua, kiwicha among others. 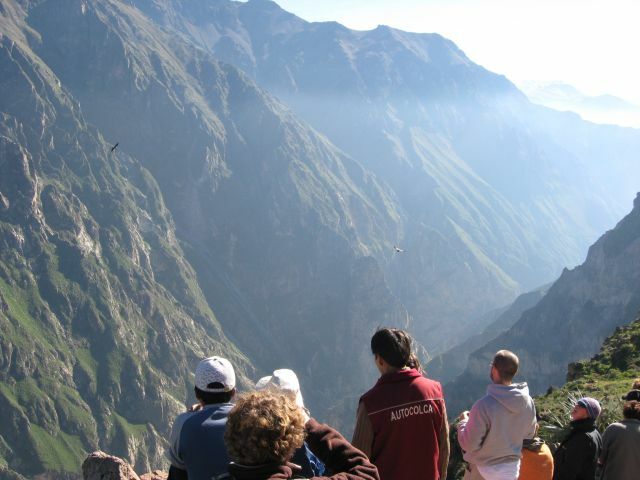 After a 2 hrs drinving we get the most visited point “ the cross of the condor” here we are able to see the depth of the canyon and the flight of the Condor. After lunch return to Arequipa . ( 17:00 hrs. approx. 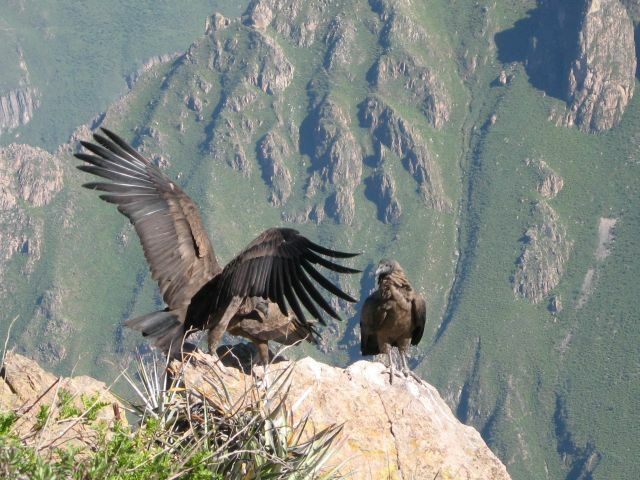 in Arequipa). Available 5% percent discount when booking at least 2 months in advance! Available 10 percent discount when booking at least 2 months in advance! If you would like the price in a single room, please email us indicating the hotel of your prefferences. We will email you back within 24hrs.